Dynamic portal for information about Cornwall. Includes a multi-mode search engine and is dynamically generated. It also includes an administration interface for content editors. All the system, including Graphic design, Project, Programming, System integration, Content editing by AWMP Creative Media. 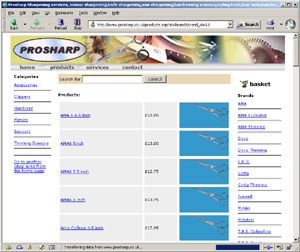 Dynamic custom built e-commerce website for Prosharp hairdressing tools, saws and knives. 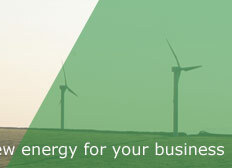 Fully integrated with Paypal online payment facilitity to accept credit/debit card payments. 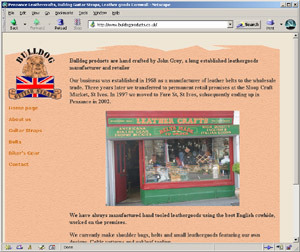 A content management system allows our client to stock, add photographs and fully manage his online shop without any computer programming knowledge. 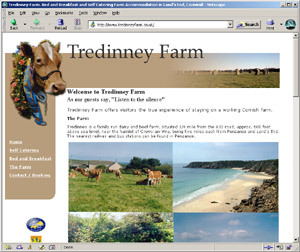 Website to advertise and promote Tredinney Farm's bed and breakfast and self catering accommodation. Contains photo galleries, online request availability form, location map and other features. Website for Penzance based hand crafted leather worker. Custom guitar straps, bikers gear, belts and other custom made leather products.